For those who were not able to attend our recent opening (or those who wish to relive it) a video is now available to view. 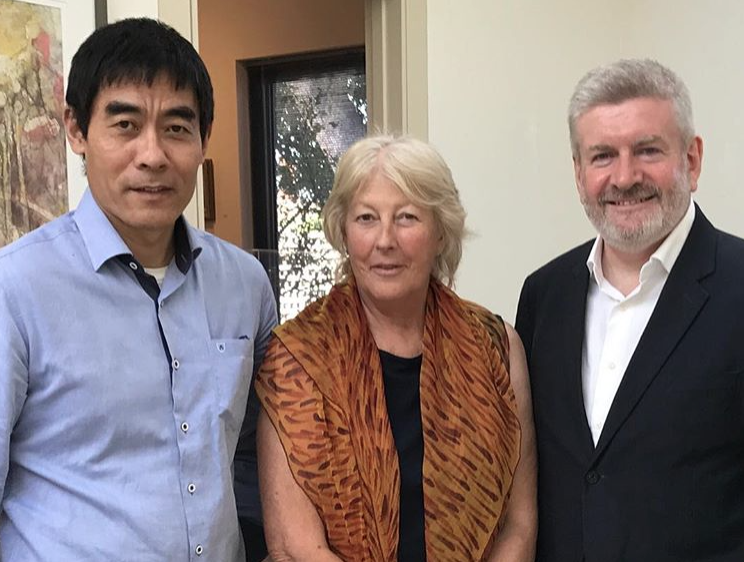 We were delighted that Senator The Hon Mitch Fifield, Minister for Communications and Minister for the Arts, was able to officiate the proceedings and speak with such feeling about ZHOU Xiaoping’s artwork. You may also like to listen to the artist explain more about his emotional journey over the past 30 years and how he came to paint such fascinating works that combine his Chinese artistic training; his experience of Western culture, living in Melbourne and his immersion in Australian indigenous culture, gained through personal friendships and his travels to country. Clicking here will take you to the exhibition page with the video links.